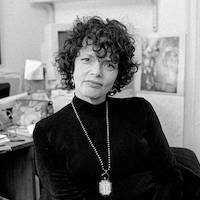 Virginia Goldner is an internationally recognized psychoanalyst and couples therapist, whose work bridges psychoanalytic theory, feminist and queer theory, and systems theory. She has received awards for her distinguished contributions to these fields by the American Family Therapy Academy, and by Division 39 of the American Psychological Association. Dr. Goldner is a Clinical Professor at the New York University Post-doctoral Program in Psychotherapy and Psychoanalysis, and Faculty at the Stephen Mitchell Center for Relational Studies. She is a Supervisor in the Doctoral program in Clinical Psychology at CUNY, and is also an Emeritus Faculty at the Ackerman Institute of the Family. Dr. Goldner teaches and supervises clinicians nationally and internationally - and treats individuals, couples, and families in her private practice. Dr. Goldner is the Founding Editor of the journal, Studies in Gender and Sexuality, and is an Associate Editor of the journal Psychoanalytic Dialogues.